sooo cute! 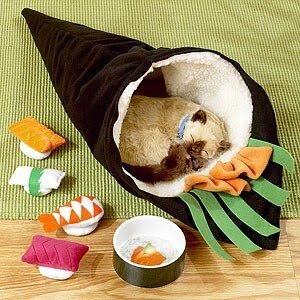 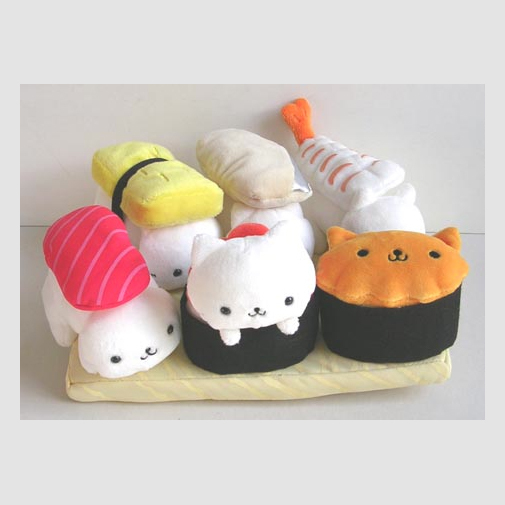 I love the Sushi bed, that is hilarious!! That salmon looks quite tasty to me! 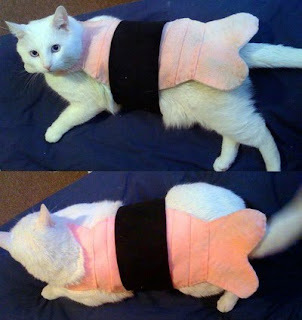 Kitty cats might really go crazy over a school of fish. 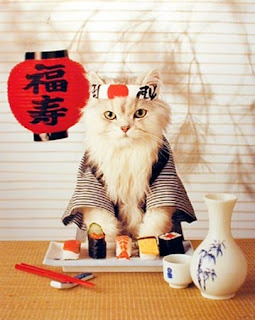 But I really cant help adoring this lovely kitties posing for the camera. 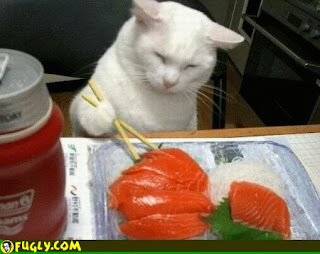 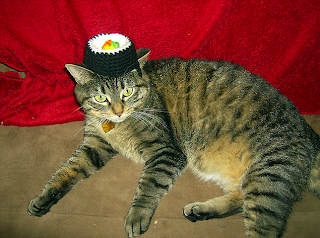 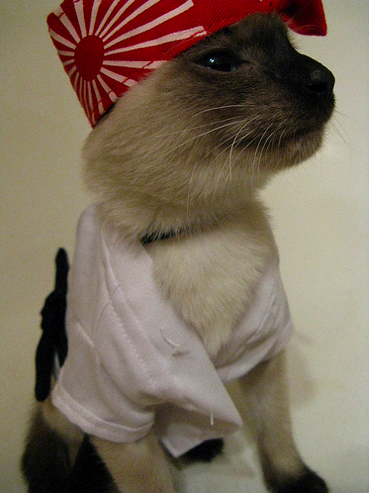 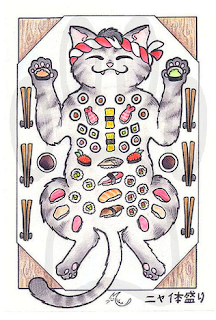 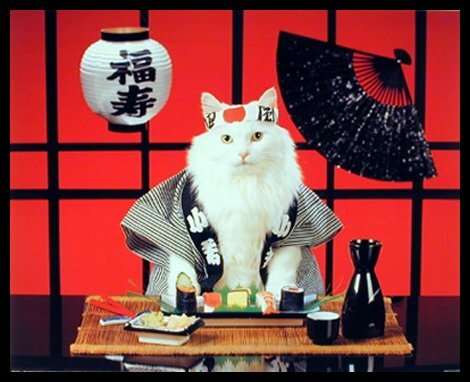 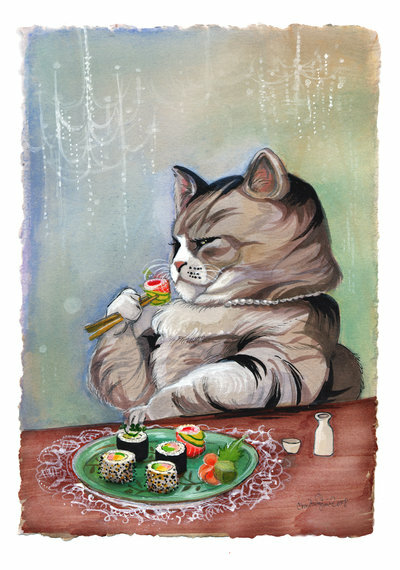 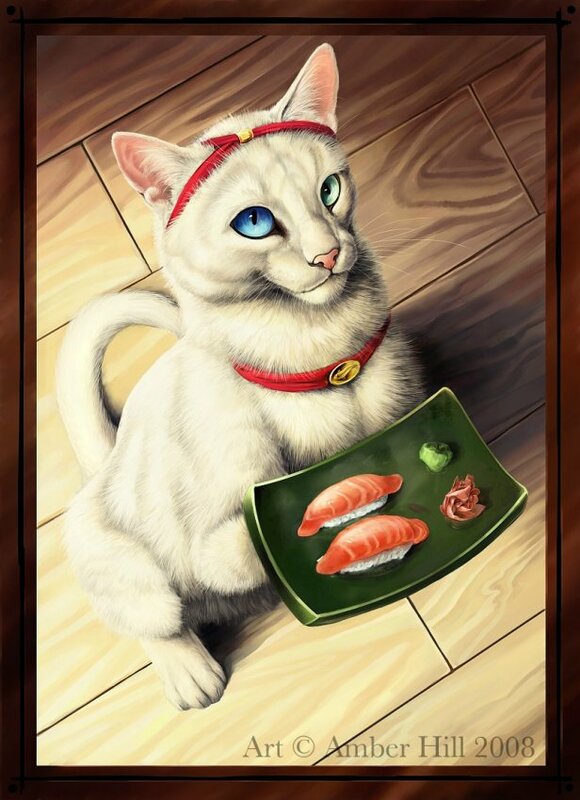 I just want to hug the cute kitties with sushi and japanese outfits. 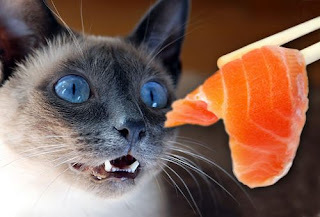 They are really irresistible creatures!